EBC Brakes have become the largest manufacturers of disc brake pads in the world and are worldwide leaders in motorcycle road and race brakes. They have developed a range of brake pads for every aspect of motorcycle braking for Peugeot Scooters. FA organic series are a superb all round value-for-money replacement for all levels of motorcycle and are still extremely popular with many riders who prefer the "feel" of organic pads. FA Series Double-H pads benefit from the highest friction HH rating for maximum stopping power, sintered copper alloy like original pads for longer life and perfect braking under all riding conditions; wet, dry, hot or cold. We have listed the brake pads for your motorbike, simply decide what compound you want, and whether you want front, rear or both. Peugeot Blaster 50 (2010 to 2012) EBC front and rear brake pads (SFA115). Available in either:- 'SFA Scooter' Series or 'HH Scooter' Sintered Series. Peugeot Elyseo 50 (1998 to 2003) EBC front and rear brake pads. Available in either:- 'SFA Scooter' Series or 'HH Scooter' Sintered Series. Peugeot Elystar 50 TSDi (2002 to 2007) EBC front brake pads (SFA115) and rear brake pads (SFA350). Available in either:- 'SFA Scooter' Series or 'HH Scooter' Sintered Series. 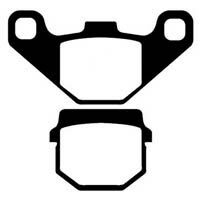 Peugeot Elystar 50 Advantage (2002 to 2007) EBC front brake pads and rear brake pads (SFA115). Available in either:- 'SFA Scooter' Series or 'HH Scooter' Sintered Series. Peugeot Jet 50 (all models - 2003 to 2013) EBC front brake pads and rear brake pads (SFA115). Available in either:- 'SFA Scooter' Series or 'HH Scooter' Sintered Series. 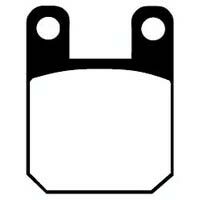 Peugeot Kisbee 50 (2010 to 2014) EBC front brake pads (SFA83). Available in either:- 'SFA Scooter' Series or 'HH Scooter' Sintered Series. Peugeot Looxor 50 (2001 to 2006) EBC front brake pads and rear brake pads. Available in either:- 'SFA Scooter' Series or 'HH Scooter' Sintered Series. Peugeot Ludix 50 (2004 to 2012) EBC front brake pads (SFA115). Available in either:- 'SFA Scooter' Series or 'HH Scooter' Sintered Series. Peugeot Metal X 50 (2004 to 2006) EBC front brake pads (SFA115). Available in either:- 'SFA Scooter' Series or 'HH Scooter' Sintered Series. Peugeot Vivacity 50 / Vivacity 2 50 (1992 to 2011) EBC front brake pads (SFA115 / SFA83). Available in either:- 'SFA Scooter' Series or 'HH Scooter' Sintered Series. Peugeot New Vivacity 50 (2008 to 2014) EBC front brake pads (SFA54). Available in either:- 'SFA Scooter' Series or 'HH Scooter' Sintered Series. 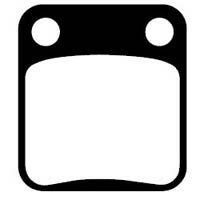 Peugeot Speedake 50 (1995 to 2001) EBC front brake pads (SFA115 / SFA83). Available in either:- 'SFA Scooter' Series or 'HH Scooter' Sintered Series.